In September 2016 and 2017 we facilitated London’s Healthy Living Week which inspired NHS staff to improve their health and wellbeing. The campaign aimed to make workplaces in London healthy, engaged places to work, where staff can join with their colleagues to make being healthy a normal part of their day. Healthy Living Week 2016 saw 45 NHS organisations engage with the campaign in its first year. 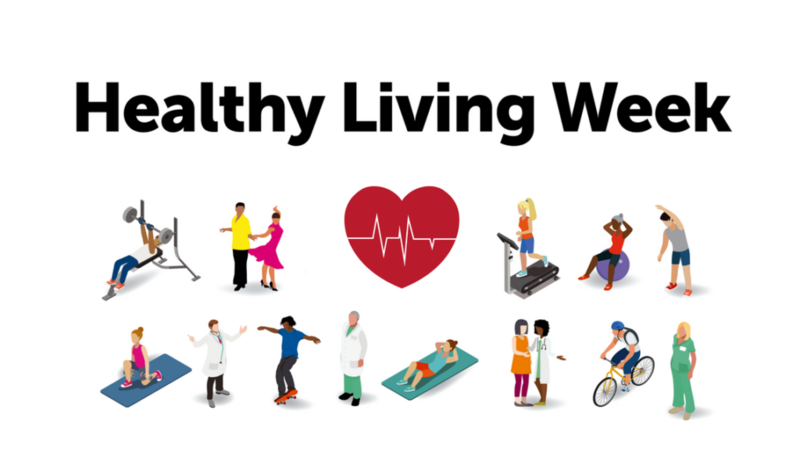 In 2017, more than 60 different NHS organisations and around 120,000 London employees took part in Healthy Living Week, going beyond the NHS with other organisations across London joining in to raise awareness of the importance of good workplace health. Organisations and teams across the capital hosted a wide range of events to promote health and wellbeing. Activities ranged from lunchtime walks, early morning fitness classes, book clubs, mental health awareness sessions, healthy team lunches, juice bikes in breaks, rounders, singing workshops and zumba. For 2018 we are encouraging organisations and communities to think about how the concept of Healthy Living Week can be introduced and built on throughout the year, with activities being launched and then repeated whenever you like. We have provided a small collection of resources based on previous year’s campaign to help begin this. Download the Healthy Living Week resources here.